Resilient Communities Are Healthy Communities…What’s good for health is good for climate! 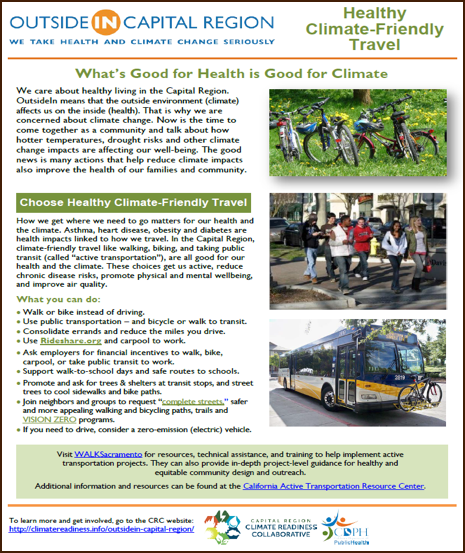 The Capital Region Climate Readiness Collaborative has published a series of fact sheets detailing the connections between climate change and health alongside coping strategies. We are also faced with a crisis in chronic disease that has in part been caused by decades of building for the automobile. Almost 23,000 deaths (over 9 percent of total deaths) in California per year can be attributed to lack of physical activity, but walking and biking have largely been designed out of most of our built environment, forcing us to rely on driving for daily trips. Fewer and fewer people meet the US Surgeon General’s daily physical activity recommendations of 21.4 minutes per day, a target that can significantly reduce chronic conditions ranging from heart disease to cancer to dementia. [ii] Providing more opportunities for active transportation, walking to parks and doing errands, even walking or biking to bus or rail stops, can help to meet these goals and improve community health as long as streets are carefully designed to protect pedestrians and cyclists from traffic. We have come to a point where a lack of foresight in constructing our built environment over the past several decades now threatens our health on two fronts. We have an opportunity to re-think community design and infrastructure to not only protect our physical resources, but also to ensure human well-being and equity. Policies and practices that promote walkable access to goods and services, complete streets, infill and low impact development, urban greening, affordable and healthy housing, local access to fresh food, trails and open spaces all directly influence one’s ability to live a healthy life. If designed carefully, they can also reduce auto use, retain stormwater provide shade, reduce greenhouse gas emissions and mitigate urban heat islands. A recent article in Wired by sociologist Eric Klinenberg highlights the importance of social infrastructure in addition to physical infrastructure as key to resiliency. Providing public spaces and placemaking helps to build community connections, so during times of crises people can and do help each other. When we consider health and climate change adaptation together and make it central to decision making, we can address multiple problems at once. These strategies can and should be utilized by public entities, private sectors, and grassroots community groups. The World Health Organization (WHO) provides great detail on the human health co-benefits related to climate mitigation. [iii] Policy alone is not enough, though. Built environment interventions must engage with existing local initiatives not only to be aware of community-level health and resilience issues, but to maintain the environment over the long-term. This doesn’t need to be more expensive. Joint use parks and flood retention/detention basins have been in use for decades. These types of facilities protect against flooding, sequester carbon, improve air quality, and mitigate urban heat islands, all while providing green spaces for the public to use. 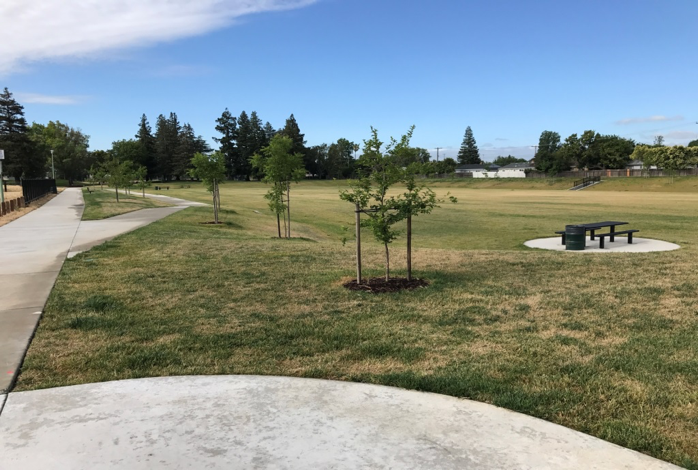 Florin Creek Park in South Sacramento was a joint project between the Southgate Park District and the Sacramento Area Flood Control Agency to address flooding problems from Florin Creek. Floodwaters can now spill into the park in storm events exceeding an approximate 25-year storm. Lower flows of more frequent events will be allowed to enter a portion of the basin. This will help relieve flood events experienced in this disadvantaged community, and eliminate the need for over 450 homeowners to purchase costly flood insurance each year. It will provide other benefits, including groundwater recharge, water quality improvement, and ecosystem riparian restoration while being a year round park with amenities including a walking path for all the residents. Increased green spaces further help reduce urban heat and ozone levels, particularly during heat events. Complete Streets can also be Green Streets by adding low impact development features such as swales to capture and filter roadway stormwater runoff, which can also contribute to a pleasant planted and protected street that invites people to be active, walk, socialize and be healthy. We are starting to see exciting visions of this kind of multi-purpose infrastructure at all scales. New York City and San Francisco have launched major design initiatives (Rebuild by Design and Resilient by Design, respectively) encouraging adaptation to rising sea levels through infrastructure that provides both physical protection and space for social interaction and recreation, while also emphasizing community engagement in the design process. However, impacts can also be made at the hyper-local scale. Freedom Park Drive, a street in Sacramento, CA, is an excellent example. 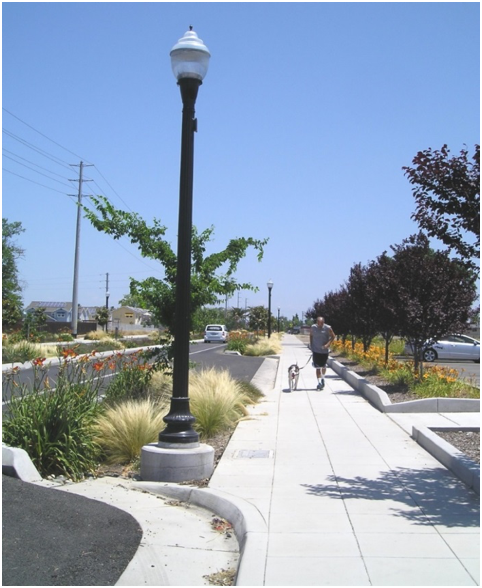 Multiple agencies came together to re-design the road, into what resulted in a complete, green and sustainable street. Performance metrics estimated its new median and swales are able to capture and treat 98% of runoff in a 10-year storm via plant infiltration. The 123 trees planted provide a shade canopy that can reduce heat by 2-9° F and sequester 5,300 lbs of CO2. The improved sidewalks and bike lanes that provide an alternative to auto use are estimated to reduce ozone precursors by 14,000 lbs per year. Health metrics for the built environment must be measured over the long term, but since its redesign, Freedom Park Drive has already seen a noticeable increase in bikers, walking groups, and casual pedestrians, a victory in a disadvantaged neighborhood. available to those who can afford it and not those who are most in need of them. While lower housing costs are a main draw to these areas, they often also come at the risk in living in low-lying neighborhoods underserved by our current infrastructure and unequipped to absorb the effects of climate change. Additionally, longer car commutes to work and amenities significantly affect mental and physical health. We must provide for and prioritize existing communities to make sure those who most need protection and access receive it. It is our charge to closely examine how to retrofit these areas with green infrastructure and which build and supports the necessary social infrastructure. Most importantly is to implement health and resilience policies in a way that explicitly considers the needs of disadvantaged communities while thinking about long-term stewardship of implementation. A healthy community is an equitable and resilient community. [i] California Natural Resources Agency. (2018) Safeguarding California Plan, 2018 Update, p. 90. http://resources.ca.gov/docs/climate/safeguarding/update2018/safeguarding-california-plan-2018-update.pdf (accessed May 9, 2018). [ii] California Natural Resources Agency. (2018) Safeguarding California Plan, 2018 Update, p. 100. http://resources.ca.gov/docs/climate/safeguarding/update2018/safeguarding-california-plan-2018-update.pdf (accessed May 9, 2018). [iii] World Health Organization (WHO). (2015) Promoting health while mitigating climate change http://www.who.int/phe/climate/conference_briefing_2_promotinghealth_27aug.pdf?ua=1 (accessed May 11, 2018). [v] Brookings Institution. 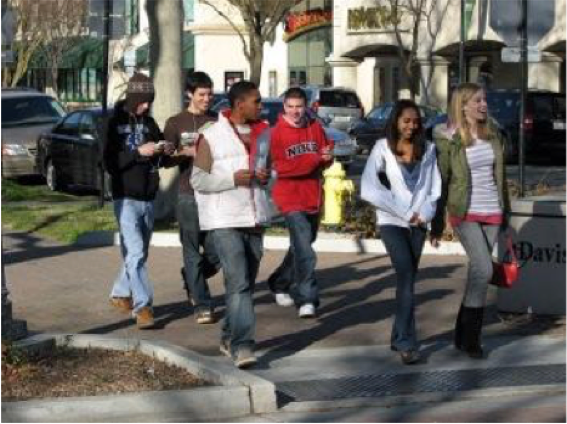 (2010) State of Metropolitan America: On the Front Lines of Demographic Transformation https://www.brookings.edu/wp-content/uploads/2016/07/metro_america_report1.pdf (accessed May 9, 2018). Judy Robinson and Sara Jensen Carr are members of Design 4 Active Sacramento, a cross-sector Health team, which does focused work on using the built environment to improve the public’s health, and was instrumental in the adoption of Healthy Communities policies and zoning codes for Sacramento County. Design 4 Active Sacramento has received international recognition for their work and was part of the National American Planning Association & American Public Health Association, “Plan4Health” Cohort. Judy is the team leader of D4AS, as well as the Principal Planner and the Sustainability Manager for Sacramento County. She has over 25 years of experience with local government, community planning and development. Judy is a recognized leader and expert on Planning, Climate, Health and the Built Environment. 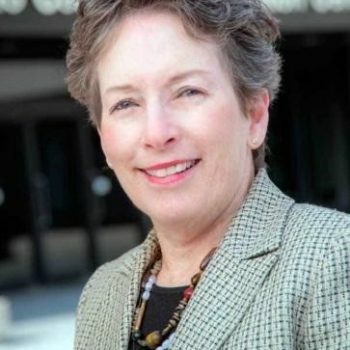 She also is an Executive Committee Member of California’s Health Planning Leadership Committee and the Capital Region Climate Readiness Collaborative. 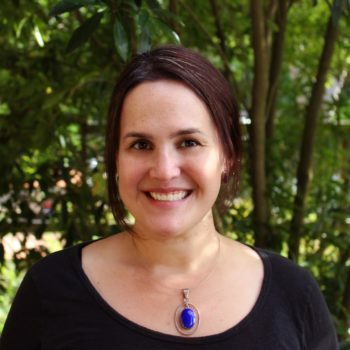 Sara is an Assistant Professor with a joint appointment in the School of Architecture and Office of Public Health Studies at the University of Hawai’i at Mānoa. Her teaching and research focuses on the connections between landscape and wellness, urban ecology and design. She is a past Mellon Foundation Fellow and her current book project, The Topography of Wellness: Health and the American Urban Landscape, examines landscape responses to six historical urban epidemics and the implication for current and future practice. Killing Planet Earth & Ourselves, What Are We Doing?